An influential House of Lords committee says the government needs to start thinking about data and how to share it once we leave the EU – as any increase in data transfers between the UK and the EU after Brexit could both create a new non-tariff trade barrier, as well as hinder police and security co-operation. The upper chamber’s EU Home Affairs Sub-Committee’s Brexit: the EU data protection package warns that the government has to deliver on its promise to secure “unhindered” and “uninterrupted” flows of data between the UK and the EU post-Brexit to facilitate both trade and cooperation in law enforcement. The problem, say the Lords, is that both “rely on shared standards of data protection” – which means that if the government’s objectives are not achieved, the UK could as a result “be put at a competitive disadvantage”. Another crucial negative: British police could lose access to information and intelligence mechanisms, as these are currently sourced through the country’s membership of Eurojust and Europol, and are vital for UK law enforcement. The Committee says it’s concerned by the lack of detail on how the government plans to maintain unhindered data flows post-Brexit, as well as the risk that EU and UK data protection rules could diverge over time when the UK has left the EU. To avoid this, the Committee urges the Government to secure a continuing role for the Information Commissioner’s Office on the European Data Protection Board, while also recommending that the most effective way to achieve unhindered and uninterrupted flows of data would be to secure an ‘adequacy decision’ which would confirm that the UK’s data protection rules offered an equivalent standard of protection as the EU’s. 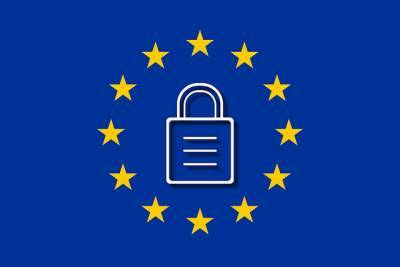 If an adequacy decision is not agreed, the Committee warns that there are no apparent fall-back options for law enforcement purposes that would enable data to be shared with the EU. This raises concerns about the UK’s ability to maintain deep police and security cooperation with the EU post-Brexit. As a result, the Committee therefore urges the Government to ensure that a transitional arrangement is agreed to avoid a cliff-edge for data transfers when the UK leaves the EU. For the Committee’s chair, Lord Jay, “The volume of data stored electronically and moving across borders has grown hugely over the last 20 years: between 2005 and 2012 alone, Internet traffic across borders increased 18-fold. The report is embargoed until 00:01 Tuesday 18th July. Embargoed copies of the report are available upon request. To request a copy of the report, please contact lordspressoffice@parliament.uk. For more information on the inquiry, please see the Committee’s webpage. Chairman of the Committee Lord Jay and Committee Member Lord Condon are available for interview. For further information or to request an interview please contact Anouska Russell on 020 7219 8535. The House of Lords EU Home Affairs Sub-Committee is charged with scrutinising proposed EU legislation on home affairs, health and education . For more information about the Committee, please see its webpage. The House of Lords EU Committee and its six Sub-Committees are conducting a coordinated series of short inquiries looking at the key issues that will arise in the negotiations over Brexit. Taken as a whole, this programme of work will be the most extensive and thoroughgoing parliamentary scrutiny of Brexit.